"Bury proves to be more than a mere dry historian; he turns out to be a fine storyteller as well, and his accounts of Patrick's spiritual duels with Druid priests for the heart and mind of the Irish king are quite gripping." "Editor-writer Sweeney gives Bury's 1905 biography of the legendary St. Patrick a greater contemporary context in this meticulously researched and presented workÉ. Bury wrote what Sweeney calls the Ôideal modern biography' of PatrickÉ. Sweeney assembles and rearranges material from Bury's original work and incorporates more of Patrick's own words, from his Confession and Letter against Coroticus. 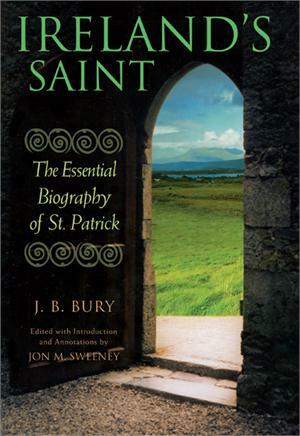 Sweeney's light edits to Bury's text clarify exactly what Patrick did in Ireland, noting that although he did convert some pagan kingdoms, he also was responsible for organizing Christians who were already there and connecting the island with the church of the Roman Empire."